People have reminded me over and over again that change just for the sake of change isn’t always good…I agree! I am not proposing change just because it’s the “in” thing to do, in fact a lot of things we do in our Army has meaning and significance. But what happens when things lose their meaning, their relevance and vital-ness? What happens when that program, symbol (and or any other thing in our Army) becomes the object of worship? *gasp* Does that even happen? Could it happen? I doubt something becomes an object of worship intentionally. I also doubt programs and/or things in our Army lose their significance and meaning quickly, but rather a little over time. When this happens, isn’t it an indicator that perhaps we have wavered? Isn’t it an indicator that perhaps we have veered from our course? Perhaps then the need to hit the reset button becomes paramount. But are we afraid to push it? One might wonder if this would change everything. One might wonder if this would destroy everything. One might also wonder if they would be known for destroying everything just because they dared to hit the reset button. Sometimes we do the same thing year after year…once, long ago we had the passion and drive for it, but now it seems as if all we are doing is go through the motions and just “getting it done” because it’s required. What happened to it being fun? What happened to spontaneity? What happened to progress when it just seems we are maintaining? Is there a point when the program that we’ve been doing for years and years (since Catherine and William were still alive) is just tired, old, repeated, and irrelevant? So when do we hit the reset button? How does that look? Does it mean first me must internally realign our motives and intentions in ministry? -Absolutely! Does it mean that perhaps we put that spark back into thing…that spark that’s been missing in our ministry for years? -You bet. Do we politely and rather intentionally push for changes to come from our leadership in the Army too? -Of course! In the past few years a number of reset buttons have been pushed. Programs like – Home League, Corps Cadets, Junior Soldiers…and so on. I wonder though if we are really hitting the reset button at all or just relabeling and repackaging the same old thing? No offense to those whose programs are thriving…perhaps we can learn a lot from you! When do we hit the reset button on certain programs and things in our ministry? How do we know that the time is right? How do we evaluate success and failure? How do we know if our programs are tired, old, defeated? How much prayer and listening to the Holy Spirit are we doing? Are we guilty at times of merely want to change for no good reason? Is our mission still intact? I pray that when the Holy Spirit spurs us into action to step “out of the norm” that we listen. I pray that we are bold and daring for not only the Army but most importantly for God. I prayer that we pursue lives not just statistics. I prayer that we measure our successes not by mere public accolades and government funding, but by lives discipled and transformed by our willingness and His power. 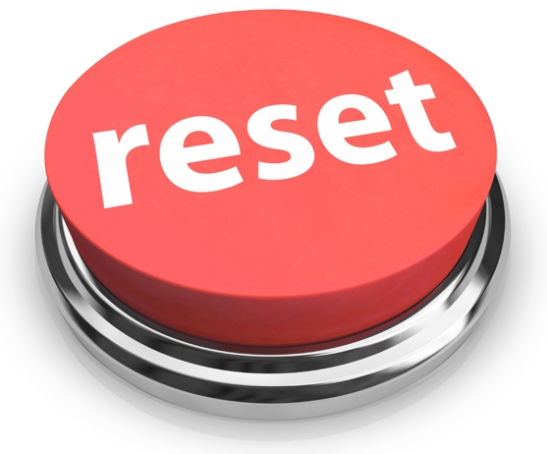 Is it time to hit the reset button in your ministry? I believe we still need Jr. Soldiers and Corps Cadets program so we can train the young people to know about the Lord& The Salvation Army. So they learn how to be Good Senior Soldiers. Such decisions cannot be made by tradition, emotion or bias. They should be made through research and allowing the data, bathed in prayer, to speak to us for wisdom and direction. You are so right George! Amen! May I add that they also cannot be made by financial, social, or political bias as well. It is time we look at EVERY program in every corps. It is time we ask this question: Does this program/activity fulfill the two fold mission of The Salvation Army? If not, (no matter how much money it brings in) it is time to pull the plug. I am sorry to say that way too many programs meet human needs, but ignore the preaching of the gospel. Spot on Stephen! A reevaluation is needed especially if preaching the gospel is absent!